The Moss Vale Show website. The cost to advertise on The Moss Vale Show website is considerably lower compared to trying to advertise a small advertisement in the local newspaper. From as little as $397 for 12 months of advertising – this would equate to 1 week of advertising in a local newspaper! One of the best advantages of advertising on the Moss Vale Show website is the ability to target your audience like a laser beam. The Moss Vale show website attracts the interest of local Southern Highland residents. If your business benefits from local customers – exposing your business on the Moss Vale Show website is a must do. Advertising online is about continuity. Visitors to the Moss Vale Show website visit many pages during their time on the site. Your advert will be continually displayed to each visitor on every page they visit. Your advert will be live on the website for 365 days – 1 full year! Another great benefit of advertising on the Moss Vale Show website is that it’s extremely easy to setup and manage. 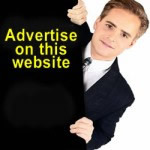 Every advert on every page will have a link directly to your company website. This will enable the visitor to find out more information about your business. When advertising on the Moss Vale Show website you will reach a wide audience demographic. The Moss Vale Show attracts local people from all walks of life and of all ages.